Blurb: An inquiry agent seeks to expose a spiritualist as a fraud only to uncover a murder. The Vital Principle is the first mystery in the Second Sons Inquiry Agency series and features coolly intellectual Mr. Knighton Gaunt, the agency’s founder. This witty, historical whodunit in the tradition of Bruce Alexander’s Blind Justice will keep you guessing until the unexpected end. 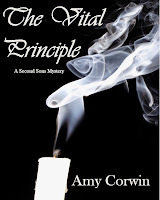 “Murder, mystery, and a dash of romance combined with witty dialogue and unforgettable characters make The Vital Principle a book that will definitely go on my keeper shelf!” —Lilly Gayle, author of Into the Darkness and Slightly Tarnished. Blurb: A murderer is stalking the streets of London and the evidence points to Sir Edward, the uncle of Charles Vance, Earl of Castlemoor. The first victim is none other than Sir Edward’s mistress who threw him over for a younger man, giving him a clear motive to kill her. However, Charles is convinced Sir Edward is innocent and enlists the aide of Mr. Knighton Gaunt of the Second Sons Inquiry Agency. When more clues surface, including roses hinting at another victim, Charles steps in and takes control. He can’t let his uncle hang for murders he didn’t commit, despite his uncle’s foul temper and abundant motivation. Blurb: Legends foretell death for anyone who possesses the fabled Peckham emerald necklace, lost by an Archer ancestor. Certainly, it has brought the Archers nothing but heartache. So Oriana is relieved it’s missing, assuming it ever existed. She has enough difficulties protecting her uncle—and her heart--from his dangerous new friend, Chilton Dacy. However, when Oriana finds the necklace, the curse reawakens. The necklace disappears, only to reappear clutched in a dead man’s hand. In this scene, Chilton Dacy has been accidentally shot and is convalescing at the Archer residence. He just can’t resist teasing Oriana Archer, his reluctant nurse…. The bed creaked behind her. At the noise, she instinctively turned. He lounged against the stack of pillows with his hands locked behind his head. Another fiery wave cascaded over her cheeks as her eyes followed that line down his chest again. The sheet had slipped even further. It barely covered his lap. A thin line of bandage was visible at the top of his thigh where an insolent corner of the sheet had flipped over. “Sir, it was an unfortunate circumstance that we must all strive to avoid in the future,” she hurriedly interrupted him. “You are obviously suffering from some pernicious form of delirium. I never bathed you. But, I shall send Joshua up to you directly if you desire to wash.” She spun and worked very hard to walk—not run—out of the door. His deep chuckles raced after her, despite the fact that she slammed the door shut behind her. What has been your most difficult novel to write? It always feels like the most recent novel is the most difficult, because with each one you stretch a little further and try to reach a little deeper to improve and enrich your reader’s experience. I’m just finishing a book, Escaping Notice, which I hope will be out by the time folks read this, and it has been truly difficult. Escaping Notice is the fourth book in the Archer family series and combines mystery with romance and a touch of humor, all done in a historical setting. Blending these elements is very challenging, particularly humor with mystery, as it is difficult not to “go over the edge” into burlesque. I’m afraid I have a very morbid (sick?) sense of humor, and I’ve shocked readers (“You can’t say things like that!”) by having characters joke over serious matters, like finding a dead body. After writing the first draft, I have to run it through someone with finer sensibilities than mine in order to identify elements which take it from funny to just plain wrong. It is critical that folks like the characters and identify with them, so the characters can’t be so witty that they aren’t sympathetic. That has been very challenging in Escaping Notice. The irony is that the move over-the-top things that I usually end up removing, are probably more true to the characters. I may be the only person left in the world who wasn’t shocked when she read that Jane Austen once wrote a letter to her sister, Cassandra, saying, “Mrs. Hall, of Sherborne, was brought to bed yesterday of a dead child, some weeks before she expected, owing to a fright. I suppose she happened unawares to look at her husband.” Another writer noted that she felt it was “… almost unforgiveably cruel ….” Really? I didn’t find it so, at all. I’ve often wondered if Jane Austen would have sunk into the depths of obscurity, along with all the other “nicer, kinder” writers, if she had been less witty. Wit or morgue humor is essential to many of us, because life is hard enough without obsessing and wringing your hands over all the terrible things that happen. Statements like Jane’s are often like a glass of water thrown into the face of a hysteric. It stops short the emotions that are too intense and helps you move forward to a healthier, less overwrought, frame of mind. It’s why police, coroners, and those who deal with tragic and horrendous situations will often say the most appalling (but funny in a sick way) things. Because it helps them to cope. It provides the necessary distance. Well, that’s rather drifting off topic, isn’t it? The reality is that many characters are difficult to write because they use coping mechanisms that many readers may find unsympathetic. The characters, like Miss Leigh in Escaping Notice, are prickly and seem mean because they feel too deeply and get hurt too easily. Miss Leigh often says things she didn’t mean to say, or rather, meant, but didn’t realize that her words would hurt. Without a doubt, characterization and bringing depths to characters is always the challenge in every book. Instead of getting easier, it always gets harder as we try to dig deeper and bring forth characters with more depth, more reality, and more damaged. Because all of us are damaged in one way or another, but through our fiction, we hope to show ways to meet the challenges and overcome them, despite our faults. 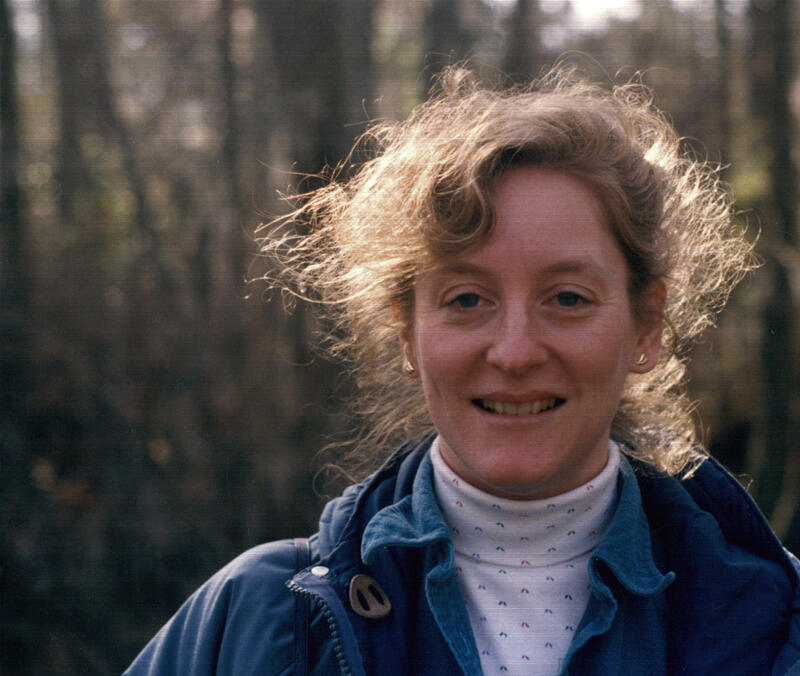 About the author: Amy Corwin is a charter member of the Romance Writers of America and recently joined Mystery Writers of America. She has been writing for the last ten years. She writes romance, historical and cozy mysteries. To be truthful, most of her books include a bit of murder and mayhem since she discovered that killing off at least one character is a highly effective way to make the remaining ones toe the plot line. AUTHOR GIVEAWAY: Amy Corwin will giveaway a $25 Amazon GC to one randomly drawn commenter during the tour.Don't forget to follow the tour and comment; the more you comment, the better your chances of winning. The tour dates can be found here. I do enjoy a touch of mystery in my reading, especially my romance. 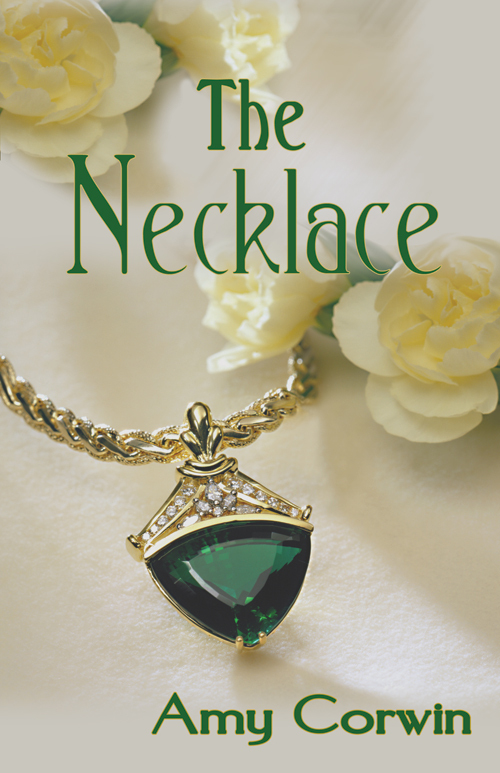 I was smiling as I read the excerpt for THE NECKLACE. Thank you for hosting Amy today. 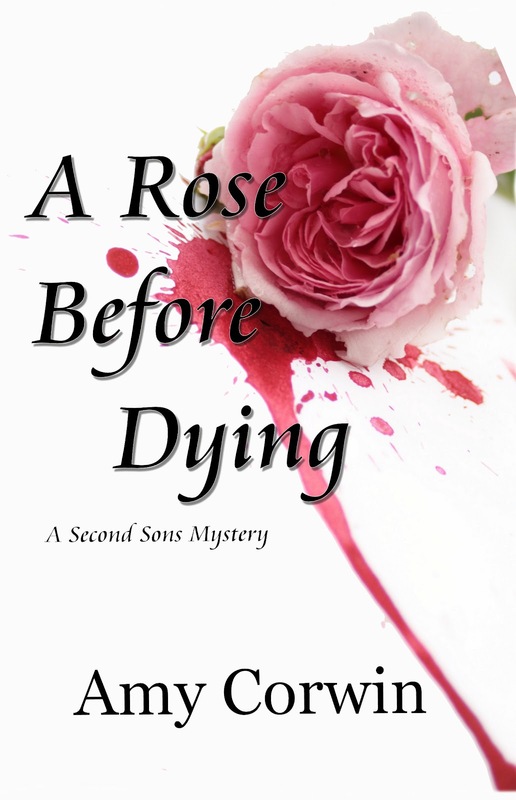 While I enjoy romance, mysteries are also quite nice, the excerpt of A rose before Dying sounds particular intriguing! Was there anything particular that inspired you to write this one? I think that the development of the characters that throughly makes the story that much more interesting. Love the excerpt for The Necklace. Amy...I like that you mention the value of wit. I think it must be a challenge for an author to find that balance between wit and sarcasm. A bit too much wit can come across as harsh and sarcastic to some, even downright mean. Personally, I like a sharp wit. Thanks for all the wonderful comments! I'm sorry I'm so "late to the party" (long, tragic day at my "other job"), but it's wonderful to see everyone here! And I totally agree--characters definitely make or break a story. I'll remember wonderful characters long after I remember what happened plot-wise, and I'm sure I'm not the only one! Great interview! And I, too, have a sick sense of humor. I feel you on trying to find a balance between morbid and funny. Love the blurb: To be truthful, most of her books include a bit of murder and mayhem since she discovered that killing off at least one character is a highly effective way to make the remaining ones toe the plot line.